Sara Teasdale suffered poor health through much of her childhood in St. Louis and did not start attending school until age 14. She began writing poems as a child and had her first one published in 1907 in Reedy's Mirror, a local weekly newspaper. Her first collection of verses, Sonnets to Duse and Other Poems, was published later the same year. Her second collection, Helen of Troy and Other Poems (1911) was well received by critics, who praised its lyricism. In 1914, she married Ernst Filsinger and thereafter went by the name Sara Teasdale Filsinger. Her third poetry collection, Rivers to the Sea (1915), was a bestseller. The couple moved to New York City, where they lived in an apartment on the well-to-do Central Park West. In 1918, she won the first Columbia Poetry Prize, an award later renamed the Pulitzer Prize for Poetry, for her collection Love Songs (1917). Her husband's frequent business travel left Sara lonely, and in 1929, she sought a divorce. Afterwards, she rekindled her old friendship with poet Vachel Lindsay, a former beau, who was by then married with children. He died by suicide in 1931. Sara died from an overdose of sleeping pills at age 48 in 1933. 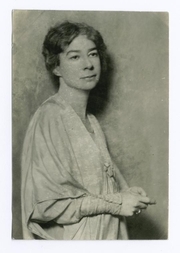 Sara Teasdale is currently considered a "single author." If one or more works are by a distinct, homonymous authors, go ahead and split the author. Sara Teasdale is composed of 4 names. You can examine and separate out names.